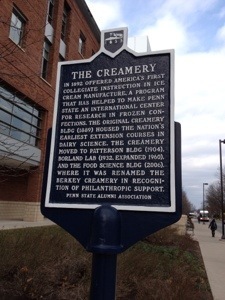 Penn State’s Berkey Creamery gets high honors! 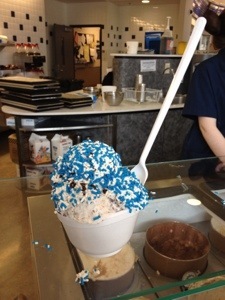 A recent visit to “The Creamery” on the Penn State campus in State College, PA lived up to my expectations. A favorite destination of my childhood summers, I returned in hopes of finding the same fresh ice cream that lingered in my memory. I wasn’t disapointed, and to make things even better, they still had the fabulous Coconut Chip that I remembered! The Creamery was the first place in America to introduce college-level courses in ice cream manufacturing. 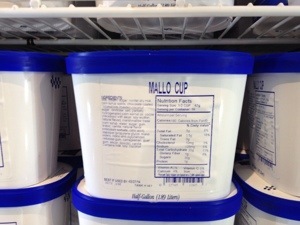 This is where ice cream makers from all over the world come to learn their craft. Ben and Jerry studied here. It has had several locations and is now in a new building, which by the looks of its popularity, will have to expand soon. 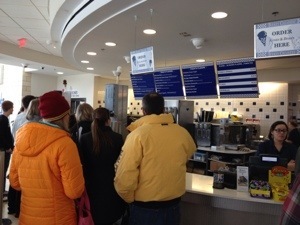 The place was packed with students and visitors enjoying ice cream in spite of the chilly March day. If you find yourself anywhere near the center of Pennsylvania, do yourself a favor, and head for State College and “The Creamery”, it’s one of a kind. Posted in Childhood memories, coconut, Ice Cream, travels and tagged childhood summers, food, mallow cups, penn state campus. Bookmark the permalink. wow–that’s slick. Looks like a cute little scoop shop. I studied Food Sci at the University of Minnesota and took a fair share of dairy sciences course. We had a pilot plant that also turned out (amazing) ice cream for sale at a small shop open to the public one day a week. It still happens as I was just there last summer, but the shop is just a tiny little room in a much larger academic building. No spots for sitting and very crowded. The Creamery is for sure one of a kind. I just LOVE the way you combine a little bit of history along with your “foodie” adventures! It’s so interesting and always makes me want to eat what you wrote about – immediately. Great Blog! Keep up the good work! 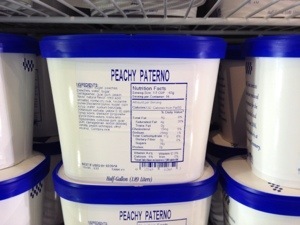 Hi, I happened upon your blogg when looking at Penn State Creamery Ice cream. Their ice cream is amazing. And for that reason my husband and I opened a old fashioned ice cream parlor in Blairsville, PA. where we scoop Penn State Creamery ice cream. Yes, it’s true… we are open Tuesday thru Saturday 4 to 8:30. Check out of facebook page. So when you can’t make the trip to State College, PA … take a drive to 52 West Market Street, Blairsville PA to enjoy some of the country’s best ice cream. Wow, how wonderful that you have an ice cream parlor. Your town is near my family’s hometown of Indiana. Their name is Mazza. Next time I’m in your neighborhood, I will stop in for sure. So jealous I have heard so much about the Creamery! So cool!